CIVIC is your resource for information on how the City of Austin leverages the Capital Improvements Program (CIP) to make Austin vibrant, livable and connected. Visit the Project Explorer for information about the 2016 Mobility Bond Program. 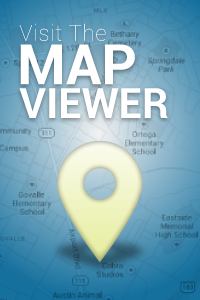 Visualize project information using interactive maps. Find Information about projects – including description, current status and funding source(s). Read City of Austin Communication about the CIP, such as current and planned spending reports and key project and program updates. With this sharing of information, CIVIC furthers the City’s commitment to increase transparency, foster collaboration and provide the best managed delivery of capital projects.